Summer is here and many of us are searching for that sun kissed glow without the harmful rays. There are so many options for bronzers, but how do you pick the one for you? 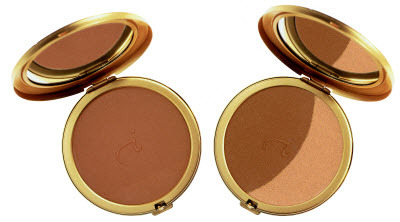 So-Bronze is a pressed mineral powder bronzer that comes in three shades. So-Bronze 1 is a classic terra-cotta color with tiny specks of gold mica that add glow. So-Bronze 2 is slightly darker, it also has a quarter moon of pressed gold powder that is great for added glow or to highlight your cheek bones. So-Bronze 3 is a lovely mix of So-Bronze 1 and 2, it works great on all complexions and you can mix the two colors for glow and color or use separately to contour your face and add shimmer to your lips and eyes. I like to use the Dome Brush when applying So-Bronze, although you can also use the White Fan Brush. I apply the darker shade to the areas of my face that would naturally receive a bronzed look, my forehead along my hairline, my cheekbones and the top of my nose. I then apply the lighter shimmer shade to the top of my cheek bones. Quad Bronzers are a great option if you are looking for a multipurpose product. These pressed mineral powder bronzers come in three shades, Moonglow, Rose Dawn andSunbeam. Moonglow is a golden bronzer that includes 24K gold dust flakes. It is lovely for a glowing bronze look and the colors work wonderfully as eye shadows. Watch Jenna create a look using Moonglow here! Rose Dawn includes four shades that range from a soft pink to a more copper/bronze color. 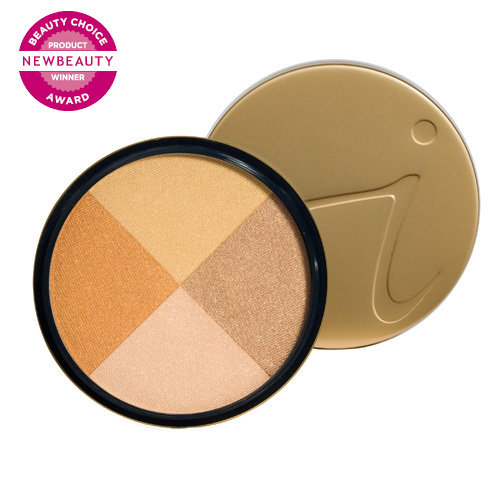 This bronzer adds a subtle glow to your complexion without looking too bronze. Sunbeam is a pink/copper bronzer that includes 24K gold dust flakes that creates a natural sun kissed look. All three of these bronzers are truly multipurpose and can be used on your face, eyes, lips and cheeks. Tantasia Self-Tanner & Bronzer is another great option if you are looking for a full body bronze look. The bronzer in Tantasia provides an instant sun-kissed look, while the self-tanner develops gradually for a natural looking tan. The best part about Tantasia is that it works with your skin tone and self adjusts, so you will never look orange, plus it doesn’t streak. I love using this on my legs when wearing a skirt or shorts, it also works great on your face and decolletage for added glow. The most important thing to remember about bronzing is not to forget that your neck and face are connected. Always be sure to bring your bronzer down onto your neck for a more natural look. Lastly, always practice safe sun! It is so important to protect your skin against the suns harmful rays, ask your SKINS Derma Care Therapist to match you with a suitable Jane Iredale Sunscreens. This blog post is courtesy of Jane Iredale Make Up Blog.